Ideally, you need to check the chlorine and pH levels of the water at least bi-weekly. The recommended pH amount is around 7.4 to 7.6, while the chlorine level is around 1.0 to 3.0 ppm (parts per million. ), specific instructions for the testing will differ and will be provided by the manufacturer of the testing strips you use. Make sure to test during dusk at least four hours after the last swimmer has left the water, and at least eight hours after a rain or wind storm as this will provide the most accurate readings. Even if the water looks fine, you should still make an effort to clean the pool at least once per week – this includes everything from emptying the skimmer baskets to removing debris from the water. Debris found at the bottom of the water can be vacuumed but make sure you only use vacuum cleaners designed for pool use. Algae is easily one of the most notorious contaminants, and it is also one of the hardest to clean because it actively clings to anything it can cling on, even hard to reach parts of the pool, such as the bottom walls and the underside of the pool ladders. To help control algae, you should install pool pumps in order to keep the water circulating. Stagnant water is conducive to algae growth. Additionally, you should “shock” the pool water once per week by adding a large dose of chlorine. 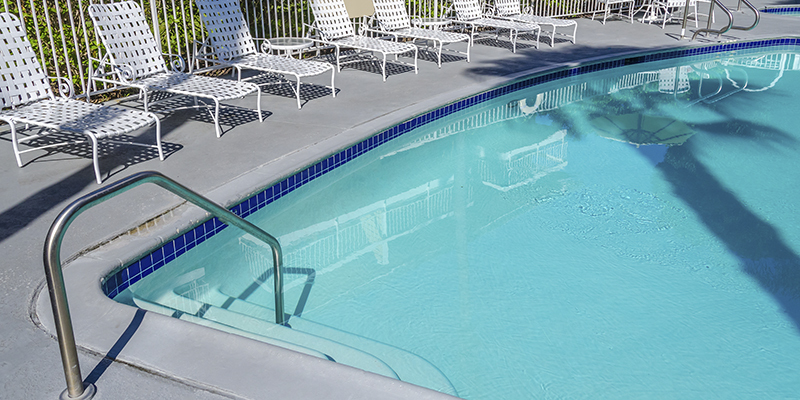 The chlorine is usually added at night and then the pool pump is run overnight in order to get the chlorine running to all the nooks and crannies. The filtration system is your first line of defense against contaminants, so run it as much as you can. If you can afford it, you should run it constantly, even if you know that you will have to deal with pool motor repairs eventually. A continuously moving water is less prone to build-up of contaminants such as algae, pollution, bacteria, and body oils. Don’t forget to use the pool cover. It is such a simple act, but many pool owners tend to avoid using the pool cover even when the pool is not in use, because getting it on and removing it off can be a hassle. But keep in mind that a dirty, unusable pool that needs maintenance and pool equipment repairs is more of a hassle, not to mention more expensive. Lastly, you should always keep in mind that even if you are too busy to maintain the pool, you always have the option of hiring a pool maintenance and repair company. Contact us at CV pools and we will do everything in our skill and capability to address your pool service needs.